Harvest Time is a great time of year to decorate your home in Autumn colors that reflect the gorgeous changing leaves of Fall. It's also a time of holidays like Halloween and Thanksgiving that include the lovely harvest-related colors of orange, brown, yellow and red. There are many beautiful items that show off the bounty of the harvest season. 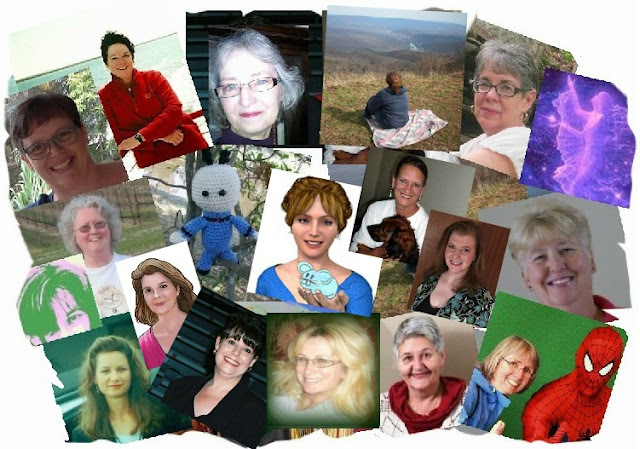 Among the most unique are those that are handmade by clever crafters or created by fabulous Indie-Artists in art and photography. For a very unique touch to your Harvest-theme décor this Autumn, come look at some of these clever, and often one-of-a-kind, handmade items available on Etsy.... and elsewhere across the web. *The beautiful Fall photograph in the introduction can be found on Zazzle. 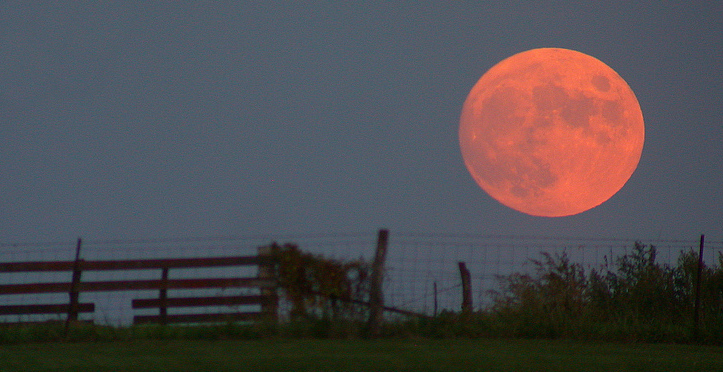 Harvest Time is the time of year when crops are harvested, especially autumn. Pumpkin and Gourds ~ Autumn Fall Gourd Pumpkin Art Photo / Print by eball photography on Etsy. 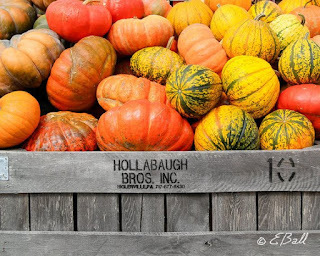 Bring a bountiful Pumpkin Harvest into your kitchen or family room with this outstanding photo to frame and hang on the wall for a lovely Autumn décor. *Photographed by Earl Ball of Delaware for his Etsy Shop. Pumpkin design beverage coasters are perfect for home decor in the Harvest-time-Autumn-Fall season, or fun all year round for anyone who likes pumpkins. 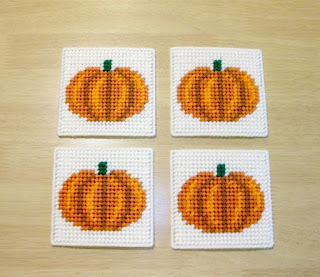 This set of 4 drink coasters, each with a pumpkin design, measure 4 x 4 inches. They are created using plastic canvas and acrylic yarn in two shades of orange, plus brown and green on an off-white background. Perfect colors for your Harvest time decor. 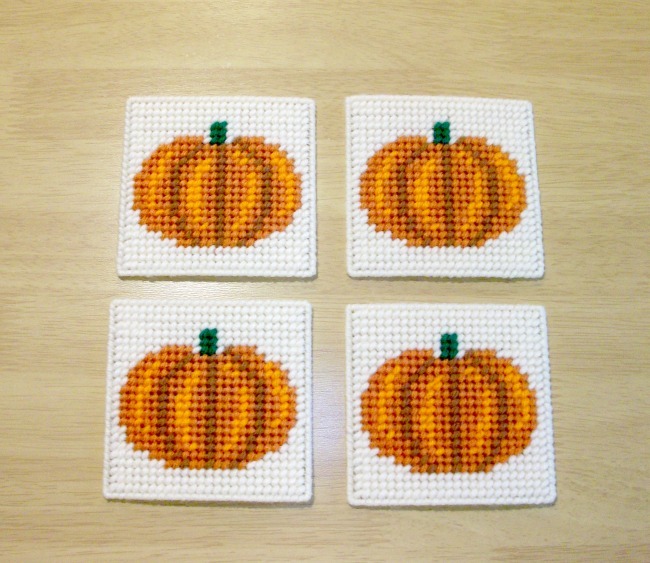 Pumpkin design drink coasters also make an attractive and useful hostess or housewarming gift. 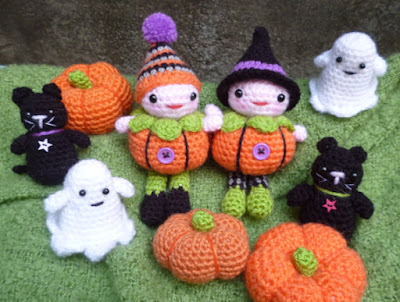 If you are a crochet crafter, you can create your own Pumpkin Patch for Harvest Time. This set of cute crocheted pumpkin patch people is perfect for your Harvest Season décor. Decorate your table throughout the Fall, or use for a Halloween Party decor. 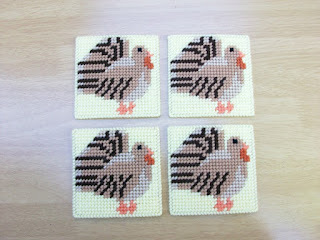 Created by Janine of Worchester, England, it is available as a pattern to create your own harvest décor. Pattern includes "Pumpkin Patch Pete and Polly" dolls, along with pumpkins, ghosts and a black cat. 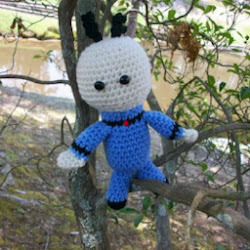 This pattern is just one of a selection of original and fun Amigurumi crochet patterns found in her Etsy Shop she calls mojimoji design. Enjoy a Harvest Moon throughout the Autumn Season with this creative Wall Clock by Raven Spirit on Zazzle. 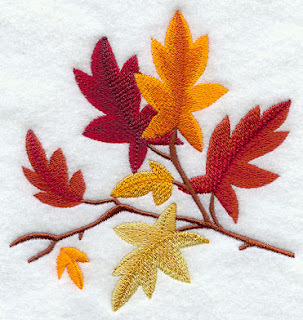 Beautifully embroidered Autumn designs on towels for the kitchen or bath set the scene for Harvest Time. Brilliant Autumn Leaves Cluster makes a perfect design for Fall. This is the design of Embroidery Everywhere of Oakland, California. 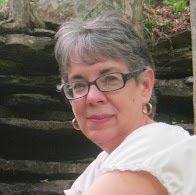 Visit all her lovely embroidery designs in her Etsy shop. Even the magnets on your refrigerator can be changed for the Autumn Season. This 'Bountiful Harvest Cornucopia' magnet is from the Zazzle store of Sandy Mertens, who is SandyMertens and Sandyspider on HubPages! 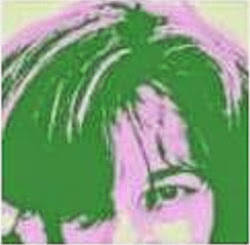 Sandy's designs are created using a variety of vintage and modern photos and drawings. Harvest Time includes the Thanksgiving holiday. 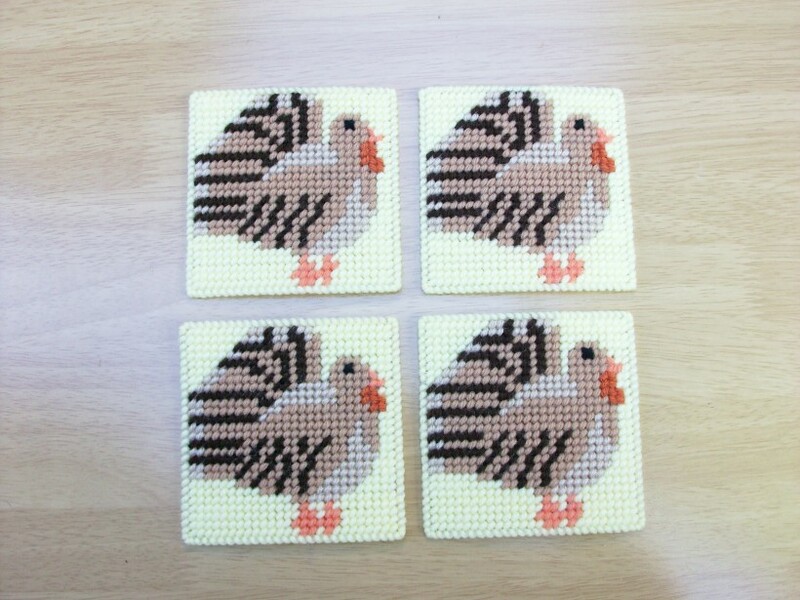 These handmade drink coasters with an attractive turkey design make a perfect accent for your Thanksgiving table. Lovely Autumn and Harvest time Seasonal Decor and a terrific hostess gift for a holiday dinner invitation. The design is created on plastic canvas using acrylic yarn in harvest colors. The turkey design is done in tans and browns with a touch of orange for the beak and legs. Turkey sits on a pretty yellow background. These harvest colors coasters measure 4 x 4 inches and are available in the Etsy shop of Coastal Crochet & Crafts. 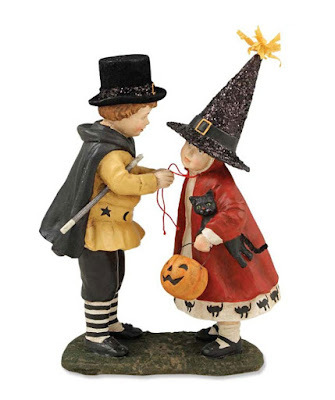 Get in the spirit of the season with a variety of seasonal decor. 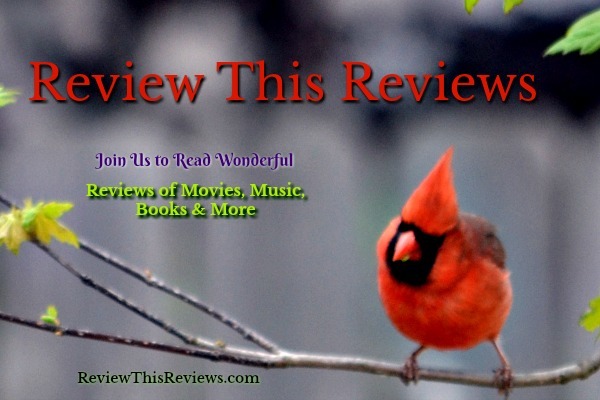 For more Harvest-Time suggestions, check out these reviews by our Review This contributors. When I was a little child trick or treating with my siblings, there was a wide variety of Halloween treats that we would receive. Some were coveted by almost everyone in our home and others seemed to be rejected by almost everyone. If you happened to be the one who loved the unpopular treat, you really had it made. Other kids would just hand it over to you. No trade necessary. They didn't want it and you were the happy recipient of their "trash." To my fortune, I was the only one in our family who loved "Smarties". Do you remember those? I had a brother who wanted all the jaw breakers. That was pretty cool for me because I certainly did not want them and he didn't like the "girly" candies. Even as an adult, he would still give me candy corn, even though he had developed a bit of a sweet tooth himself and enjoyed his fair share of the little morsels. Everyone has a favorite treat and I hope you will each take a moment to tell us about your preferred Halloween "treat." In our neighborhood, we always had the "June Cleaver" types who must have spent days baking the treats to hand out on Halloween. 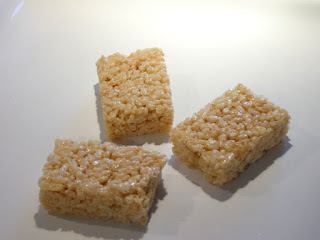 One of my favorite Mrs. Cleaver treats were the Rice Krispie Treats. Oh how I thought I had died and gone to heaven when I found the "Mother of Halloween" home. 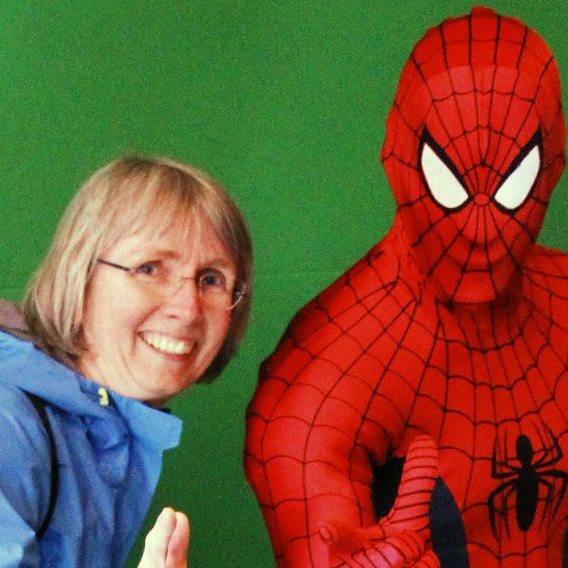 I often considered running back to my home, changing costumes and returning for seconds. I never did that though because my siblings would have gotten way ahead of me and who knew what other treats were waiting just around the corner. 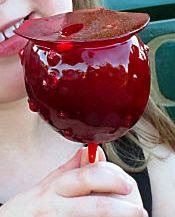 Another Mrs. Cleaver treats were the Candied Apples. No one ever gave those away! We might only be able to eat 3 or 4 bits of it before we were either sick or full, but they would not be open for barter. Thinking back now, I honestly don't know why we liked them so well because they would stick to our teeth and fingers. Perhaps it was because they really were such a rare treat. 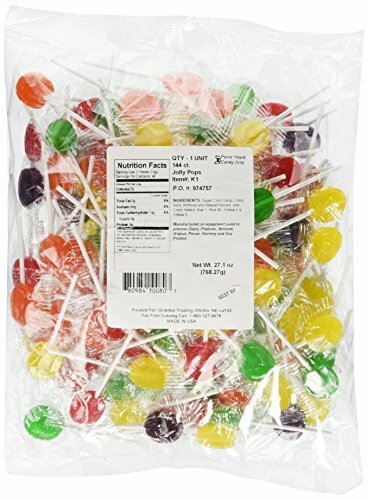 If I made them now, I would cut them up into bite-size pieces, but I have no doubt, they would still stick to my teeth. 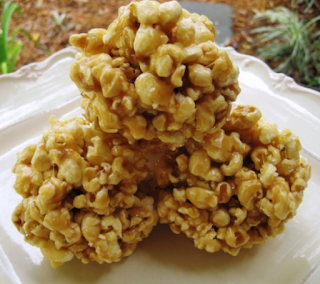 To this day, I love Caramel Popcorn. When I would see that Saran Wrapped Ball of Heaven about to be dropped in my bag, I would reach out and tenderly receive it in my hand. I couldn't possibly risk having my glorious gift battered in that bag of less desired, envious pieces of tooth rotting contraband. Oh, the howl that would have ensued if the wrapping had come off and it had to be thrown away. I can just imagine how we would have sounded like a pack of wolves moaning to the moon about our lost treasure. The mother who made cupcakes would have to receive my "Mother of All Holidays" Award. I cannot even begin to imagine having the time or the temperament to create such delicacies to hand out to children on Halloween. I don't know, maybe they only gave them to their favorite neighborhood goblins or maybe we received them because our Mother was the PTA president for so many years. Whatever the reason, we all loved the payoff. Okay, full disclosure. 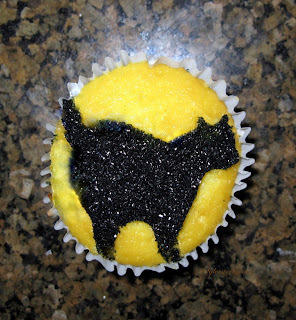 I confess that I do make Halloween Cupcakes for my favorite trick-or-treaters. Even the big kids (adults) who won't dress up and go door to door for Halloween are recipients of my Halloween cupcakes. Bubble Gum was fun for the whole family. We had the Biggest Bubble Contests and there was always someone (usually the sweet, timid one of the group) who would try to pop the bubbles by jabbing their fingers toward your mouth. 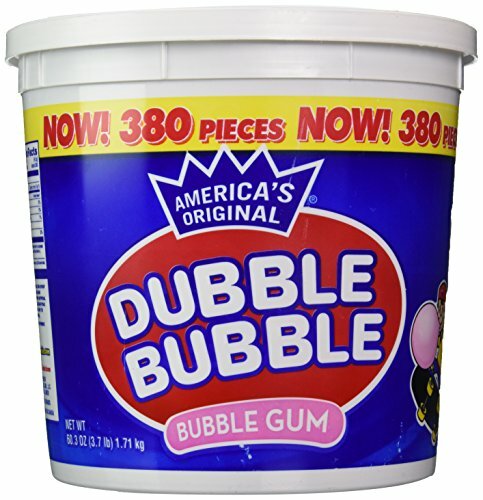 Half of the time, they would pull their finger away with your whole ball of gum. It was always interesting when we returned to school after Halloween to discover who had the new hair bob. Everyone knew she was the one who had not listened when her parents said "Don't fall asleep with that Bubble Gum in your mouth." Now I ask you, what child doesn't like a sucker? The green ones were especially popular. For some reason, my brothers always associated the green suckers with flatulence. I swear they ate those suckers just so they could have an excuse to do what they wanted to do. Around our house, if you saw a green sucker, you knew what was about to happen. My parents wore stern faces while the rest of us roared with laughter. This was the candy I grew to hate. For days after Halloween, you didn't know when you would have a taffy torpedo aimed at your head. The harder they got, the more dangerous they became. I truly believe we had a few neighbors in cahoots with my brothers. It seemed like every year they received a ton of these diabolical disks. 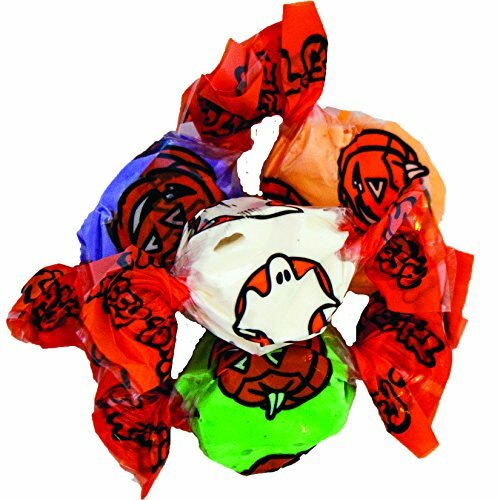 The taffy is no longer wrapped in the plain black or orange wrappers, but I bet the pieces still pack a punch when hurled through the air. 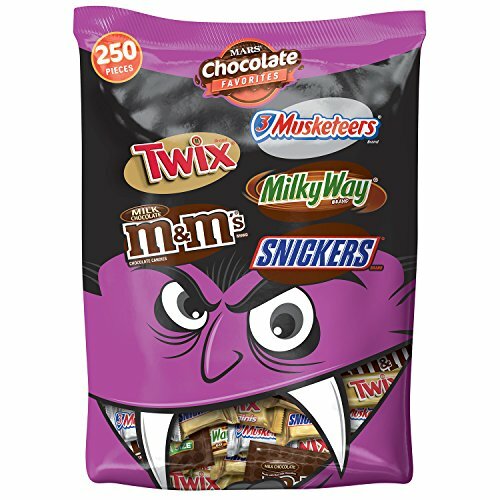 MARS Halloween Candy Bars Variety Mix 96.2-Ounce 250-Piece BagCheck PriceIf you can't have homemade treats, this was the next best thing. It was obvious which neighbor was handing out candy bars by the huge gathering of ghosts, witches and goblins at their door. Back in the 60's, it just wasn't as common for people to splurge on store bought treats as it is today. No, they were few and far between. Candy Bars were definitely the best bargaining chip. Amazingly, I could get my brothers to trade at least 3 or 4 Smarties for one candy bar! Well, at the time I thought it was a great deal. We were all happy with the trade so what did it really matter. I would be the first to admit that I was blessed to grow up in a large family. It had, and still has, many advantages. The Halloween candy in-house traders market always made trick-or-treating more fun. It is wonderful to look back on those memories and laugh. Just remember, in a large family like ours, anything bad that ever happened was the dog's fault and I had 5 built-in witnesses to testify to that fact! You don't have to have 5 siblings to start your own Halloween candy trader's market. Simply grab a few friends to trick-or-treat with and meet up at someone's home afterwards. Then, let the candy trading begin! For those of you trick-or-treating with me this year, I have dibs on the Smarties! When the weather turns cool my thoughts turn to baking and baking breads is one of my favorite fall activities. 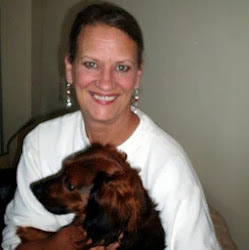 I have tried many recipes over the years and have combined different recipes to come up with tastes my husband and I enjoy. It seems like we always have bananas that have gotten a little too ripe and when we do I use them for banana bread. Tip: If I can't bake that day, I peel the bananas and put them in a freezer bag to freeze for later use. When I'm ready to use them I just sit them out for a few minutes and add them to the recipe. I have tried many different recipes over the years and have combined several to come up with the recipe below, which is my favorite. The secret ingredient in this recipe is the sour cream, which helps to keep the bread moist and delicious. Start with: 2 mashed bananas, 1 cup sugar, 1/4 cup vegetable oil, 1/2 cup sour cream, and 2 eggs well beaten. Mix together. your favorite nuts, raisins, chocolate chips, or dried cranberries. Pour into 1 sprayed bread pan. Bake 325 degrees for 1 hour. Cool 5 minutes before removing from pan. 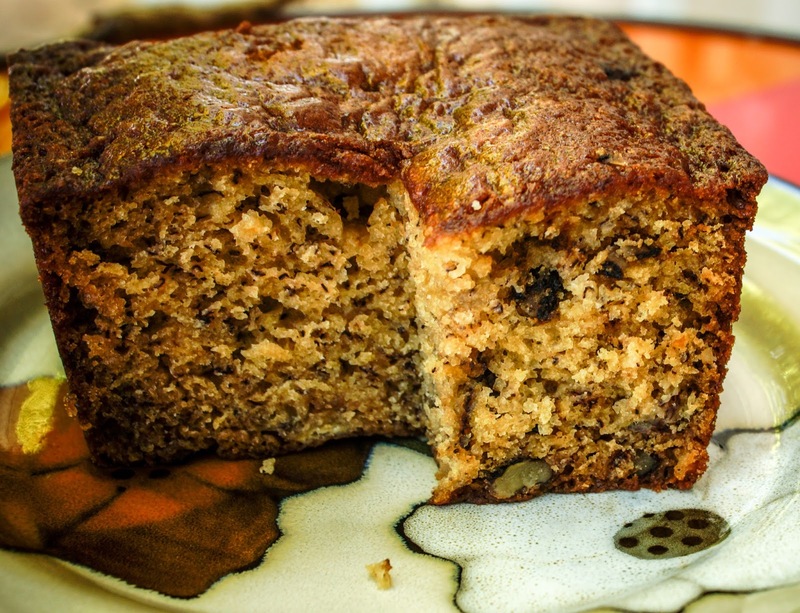 I particularly like adding nuts to my banana bread, but I have found it is also delicious with chocolate chips and cranberries. Experiment with your favorite additions to create new taste sensations. I have also combined nuts and chocolate chips and that produces a delicious bread. Below is the recipe on a card you can purchase from Zazzle by clicking on the link. 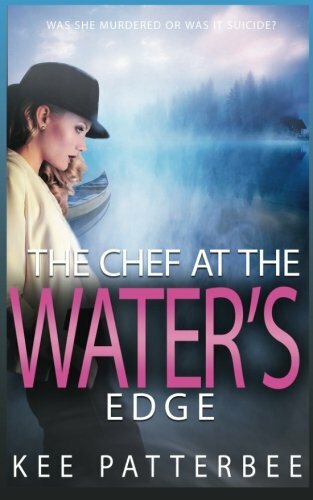 Mix a celebrity lady chef, an assistant who looks almost like her, an obsessed fan, a controlling husband, a greedy agent, a gorgeous niece, a jealous ex-boyfriend, and you may have a recipe for murder. Although the police ruled chef Julia Karas' death as an accident, many who knew Julia well had their doubts. Too many facts didn't fit. Too many people had motives to kill Julia. And someone bribed the medical examiner to hide facts in the toxicology report that suggested suicide. 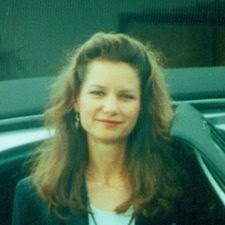 Was Julia's death an accident, a suicide, or murder? The obsessed fan would be Louie Woolridge, a food critic, who lived and worked in the small town of Zebulon where Julia and Asa Karas lived and worked. He was never able to accept the fact that Julia's death was an accident. The official story was that Julia had gone out to the gazebo next to the lake on a dark rainy night and died around 11:30 PM. 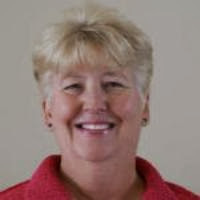 The groundskeeper found her body the next morning when he was cleaning trash from the ground around the lake. The coroner called the death an accident. 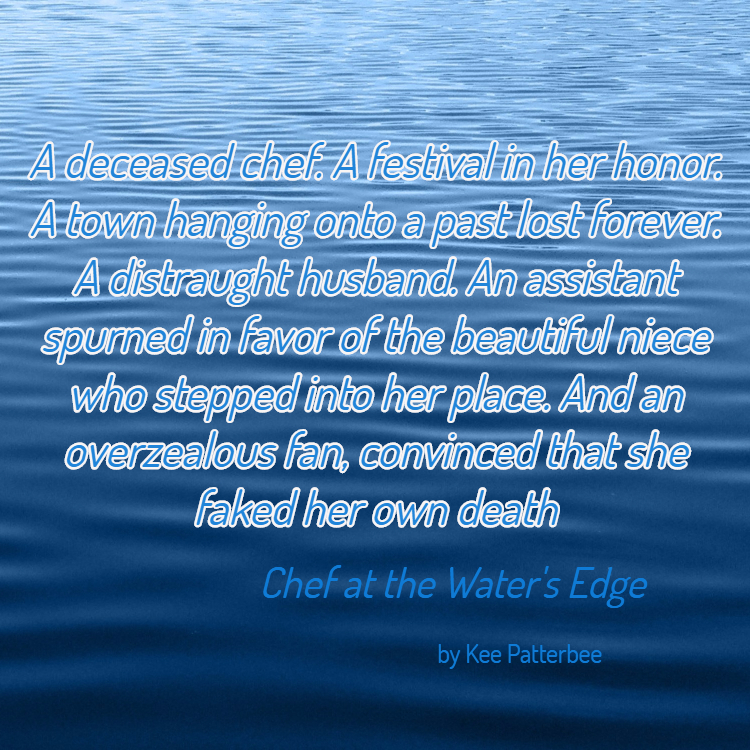 Evidently, as Julia stumbled in the dark, she bumped into a beam of the gazebo and it sent her into the water. Louie could not accept this story because Julia had been deathly afraid of open water and also had night blindness. He could think of no reason she should have gone to the water's edge on a moonless night, unable to see. Louie's friends were Buster and Cate Jordan, cousins who had been raised together in the small town of Twilight. Cate was a librarian who was also a computer whiz. Hannah Starvling the ex-FBI agent, age 31, was their friend. She had spent her summers with her grandparents in Twilight while growing up. After she had been wounded in a shoot-out while working for the FBI and could no longer use a weapon, she came back to Twilight to recover and decide what to do with the rest of her life. Her grandparents had owned a restaurant in Twilight, and her grandfather sent her for culinary training in Paris when she had to quit the FBI. She then became a restaurant consultant who worked with some of the most famous chefs in the world. 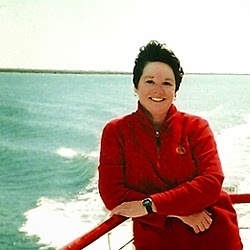 Hannah also had a pilot's license and a reputation as an amateur sleuth. She had flown her friends to Zebulon for a food festival to commemorate the anniversary of Julia's death. Louie had invited all the friends to stay with him. After they became acquainted, Hannah agreed to look into the real cause of Julia's death. What Really Happened to Julia? Hannah is determined to find out! She knew Louie and Julia had been close friends when they had both trained as chefs at the Goddard Institut Gastronomique in Paris. They had remained friends until Julia had married Asa. Asa then kept Julia from him. They occasionally met in public at culinary events Louie covered. Hannah could tell Louie had never stopped loving Julia. He kept a collection of memorabilia associated with her, along with a file of news clippings. Hannah thinks if she can prove Julia died in an accident as the police reported or find the murderer if there had been foul play, Louie might finally get closure. Many people had motives for killing Julia. 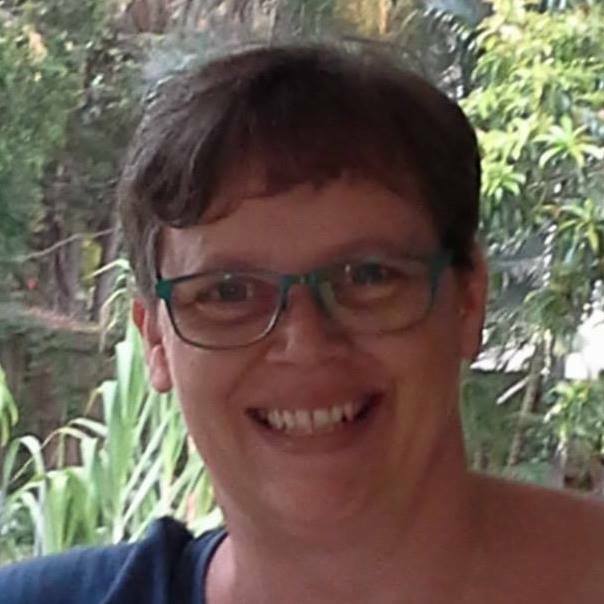 She had argued loudly with her husband Asa the afternoon of her death because she'd heard rumors Asa was having an affair with their niece, Jazlyn Karas. Before her marriage to Asa, Julia's agent, Jack Miller, had tied her into a bad contract that gave him half of all she earned, and she wanted out of it. Xabierre Dauphin and Timothy Holloway were Julia's sous chefs, but Asa had fired them both and they had vowed to get even. 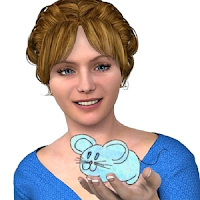 Julia had chosen her assistant Vera to eventually replace her on her cooking show so Vera might have had a motive. And, of course, the husband is always a suspect, especially one rumored to be having affairs. As Hannah worked with Officer Miles, nicknamed Hymn, to reopen the case and investigate, it becomes evident to the reader that they are fast becoming friends, and maybe even more. Will it develop into love? How would they handle a long-distance relationship? Jacque was a baker and the couple owned a little shop in Arzon. One day Julia had come in looking for rolls when Vera was very small. She learned Vera's story and kept up with her whenever she was in Arzon. As Julia became richer, she never forgot Vera, and she saw that the Bessinger family always had enough money to meet their needs. Later, she paid for Vera's education and even set up a trust for her. Hannah isn't sure she buys Vera's story. Readers will also wonder. 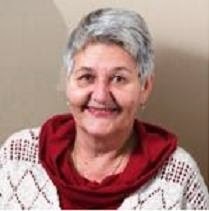 Who is Vera really? 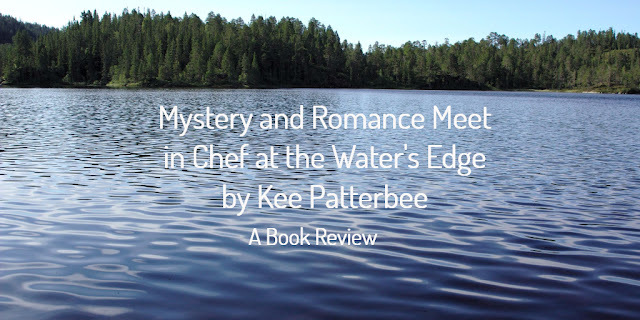 The three main characters in Chef at the Water's Edge - Louie, Vera, and Hannah, were credible. By the end of the book, readers will know them fairly well. I personally liked all of them, even though Louie was a bit obsessed with Julia. In the end, it is more evident why. My favorite character was Hannah. 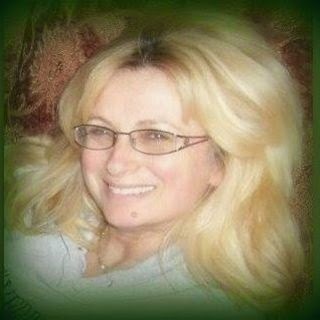 She was compassionate, thoughtful, analytical and smart. She also tried to stay objective. The minor characters added interest and widened the circle of suspects, but they weren't as well-developed as the main characters. I enjoyed looking over Hannah's shoulder as she investigated. There were many twists and turns in the plot and I kept changing my mind about the murderer as I read. In spite of this, I was not totally caught off-guard at the end. It was a satisfying conclusion that made sense in light of what came before it. I highly recommend the book to those who like police procedural mysteries. Hannah adds the amateur sleuth dimension. 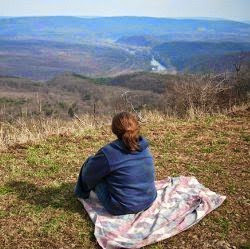 The setting in a culinary town devoted to a celebrity chef will add interest for those interested in the culinary arts. Lastly, dog lovers will enjoy the important role Louie's large Mastiff, Critic, played near the end. 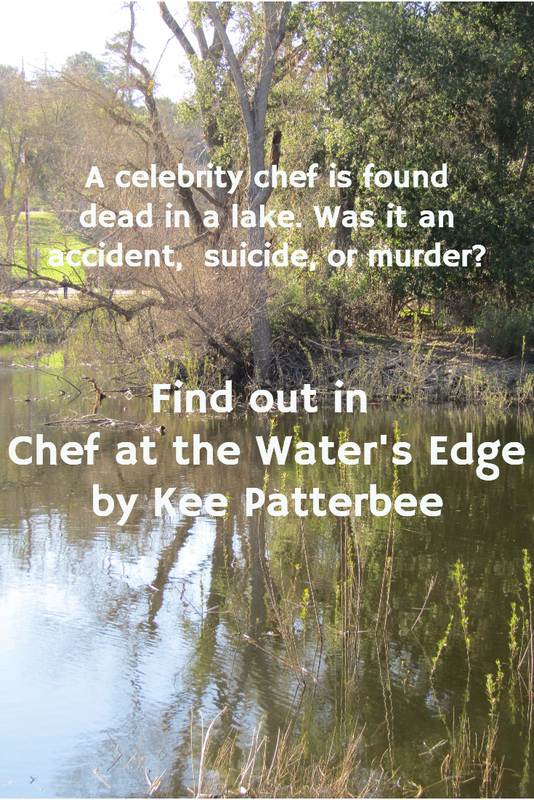 If you love mysteries, don't miss Chef at the Water's Edge. Unattributed photos were created on https://getstencil.com/app, paid subscription version. 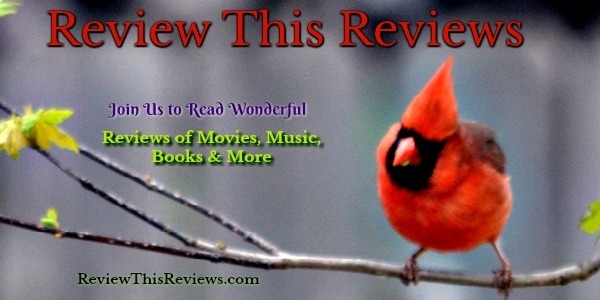 See more book reviews by our contributors here. 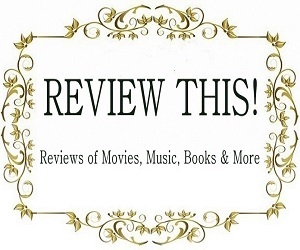 See more of my book reviews on my blog, Bookworm Buffet. Having a Halloween dress available to wear is a really fun idea for women. Fortunately, you do not have to choose something that looks like a costume. Back when I was a working woman, I liked to wear seasonal items to work. It was one way that I could show my festive spirit, no matter what holiday was approaching. It was easy to find things for the Christmas holidays but not so much for Halloween. I could usually find fun earrings to wear but when it came to clothing there wasn't much of an option. There were sweaters but they could be bulky and sometimes too warm for daytime wear. Working women today do have more options to be festive in the workplace and still be dressed appropriately. One dress that I particularly like is suitable for many different women. It can be dressed up for the office or made casual for shopping or parties. I have always liked to have items in my own wardrobe that can function more than one way. The old trick of dress it up or dress it down kind of thing. I don't know about you but my closet isn't big enough to have clothes that are only worn once a year. There are so many ways to wear the dress shown above! It could be worn in the office with dress shoes and a gold necklace. In the evening, it would look just as cute with a pair of black leggings and more comfortable shoes. Mom could wear it to the Halloween party in her child's classroom or while taking the munchkins out for trick or treating. I see a lot of versatility in this Halloween dress. It is made with a nice soft fabric that will have a little stretch to it; making it comfortable to wear. A variety of colors and patterns are available to really personalize this new addition to your wardrobe. The length of the dress should come to the knee which is also a versatile style for dressing up or down depending on where you will wear it. Even though I love puzzles, and always have one in the process on my table at work, I had no idea there were jigsaw puzzles over 1,500 pieces in size. Were you aware of the huge number of pieces available in puzzles? I had not been aware and this discovery is thrilling. 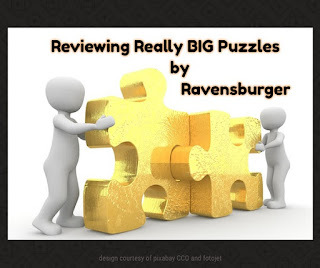 Ravensburger is a brand of puzzle that I can count on for quality. You can believe that I'll be measuring my table at work ASAP and ordering the largest Ravensburger puzzle that will fit. I had previously reviewed the Ravensburger brand of jigsaw puzzles and I was happy to show you the Disney's Pixar: Artist's Desk 1,000 piece puzzle. 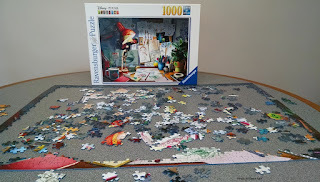 I shared that I love puzzles and I shared the reasoning behind keeping a puzzle available in my office at all times. There is currently a puzzle on my table of a lower quality. I cannot wait to replace it with a new Ravensburger. And as I stated above, I am going to order the largest puzzle that will fit on my table. The photo shows the 27" x 20" puzzle at the edges of the table, but the puzzle was not centered. If centered in the middle of my round table, I believe I can accommodate a larger puzzle. Hopefully, at least a 2,000 piece puzzle. Ravensburger offers several 2,000 piece puzzles. I am leaning toward the Underwater puzzle. It measures 38.5" x 29.5". 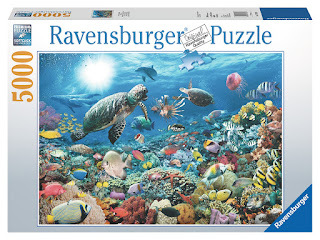 I love the marine life scene and because it is Ravensburger brand, I can trust that it is well-made. 5,000 pieces! Can you imagine? This Beneath The Sea is 5 times the amount of puzzle that is normally on my table at work. I love the idea. I can't imagine that my table will accommodate a 60" x 40" puzzle. Maybe I'll have to exchange tables! Please note that I am leaning toward the marine life puzzles because I tend toward topics that the children would like. Not always. Sometimes I choose an adult scene such as maps, landscapes, or art. But I often tend toward themes preferred by the children. In the 5,000 piece category, Ravensburger also offers The Tower of Babel, Views of Modern Rome, Colin Thompson: Bizarre Town, and the Sistine Chapel. This 18,000 piece puzzle titled At The Water Hole is amazing. It measures 109" x 75.5". Far too large for my current table, I'm sure. But the more puzzles I look at the more convinced I am that I need a new table. I will keep you updated. Paradise Sunset and Magical Bookcase are two additional puzzles in the 18,000 piece category. 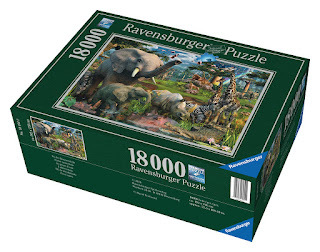 Ravensburger also offers two jigsaw puzzles larger than 20,000 pieces! A View of Manhattan at 32,000 pieces and Memorable Disney Moments at 40,320 pieces. 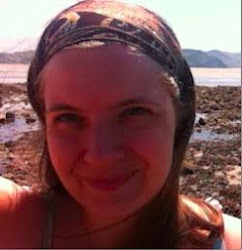 I have focused on the marine and wildlife themes that would be of interest to the children at work. 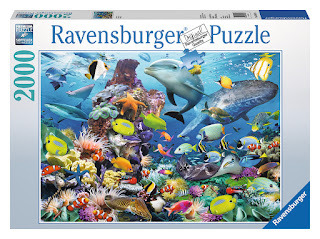 But Ravensburger offers many themes and many sizes of puzzles. To see their full inventory, check out the official Ravensburger site. Every year as we approach Halloween, these multi-generational classics return to us: Charlie Brown Halloween, Thanksgiving and Christmas. It's not easy to find Charlie Brown Crib Bedding, however, if you're willing to go the route of custom made, there's a lovely set available through an Etsy Seller. This particular set includes five pieces; the quilt, a dust ruffle, bumper pads, a pillow and a sheet. Of course items included can change, so it's best to contact the seller directly to confirm what's included and to request any additional pieces you may want. Best of all, if you're into supporting products made in the USA, this seller is located in the US and ships within the US, to Canada and to Australia. Be sure to check it out via the above link. The set is super cute! If you want to start a Christmas tradition, setting up a Christmas Village each year is a lovely trend that the whole family can enjoy. For 25 years we've included setting up a village as part of our holiday routine. It's a ton of fun for the kids when they're little and even when they're not so little. We go the whole nine yards with fake Christmas snow, houses, accessories, people and even trees for the snow. We place ours on the top of a mid height cabinet so that it's out of the reach of little fingers. To make each piece visible, place various height boxes (we use the boxes of some Christmas decorations) on the surface. Then hide the boxes with the fake snow. Creating levels makes the village look outstanding from a distance and gives it more of a realistic feeling with hills and valleys. 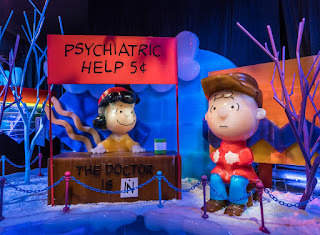 Be sure to check out the Charlie Brown Christmas Village pieces at the above link. Collect them, it's a blast! Before the Peanuts Christmas Village goes up, collect various Peanuts Halloween pieces for the front yard. Make it a full time fall and winter Peanuts celebration. Put out the Halloween yard decorations, watch Charlie Brown's Halloween video, then Thanksgiving and finally Charlie Brown's Christmas! 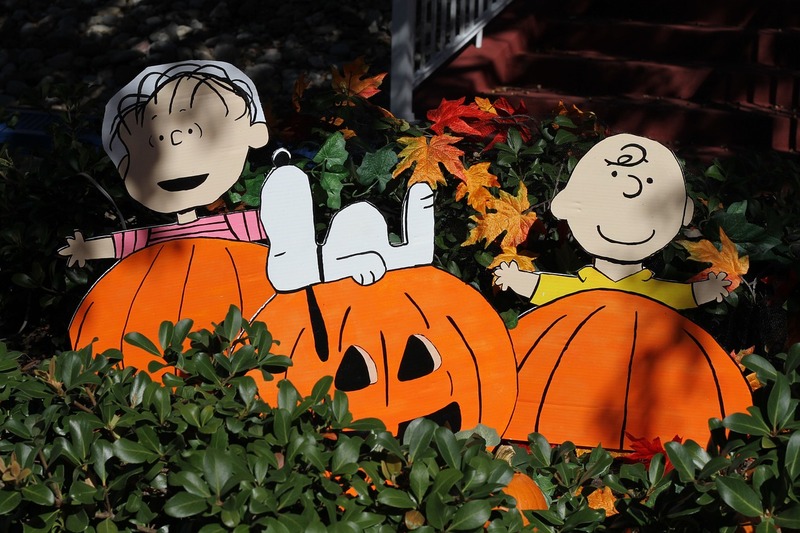 There's something about fall that brings the Peanuts Crew to life. Be sure to check out the original choices for the yard featured at the above link. You'll find a creative wooden Peanuts gang billboard for the yard, custom made by an Etsy seller. It's colorful and most of all unique! 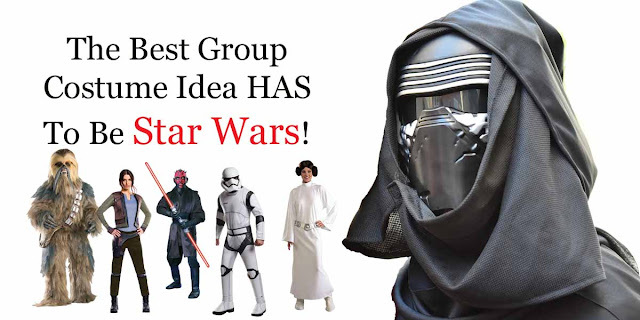 Let's review some group costumes ideas that I know you'll love. Group costumes can be a great idea for Halloween or indeed any fancy dress occasion, but first you need to agree on what everyone dresses up as. 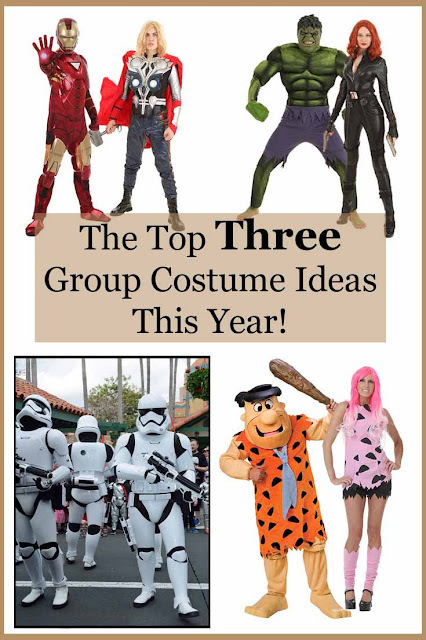 The best group costume ideas for 2017 (according to industry insiders) are the Avengers, Star Wars and the Flintstones. 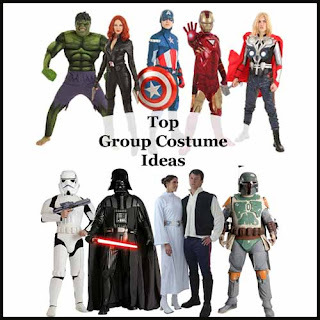 I would say choose your favorite Avengers character and dress up as that, but with any group costume you will need to make sure you don't end up with five of you dressing up as Thor! Remember the Big Bang Theory (albeit they were dressing up as DC Comics superheros and someone had to be Aquaman, they couldn't all be The Flash!) and decide on who is dressing up as who! and that's just a few of the superheroes. 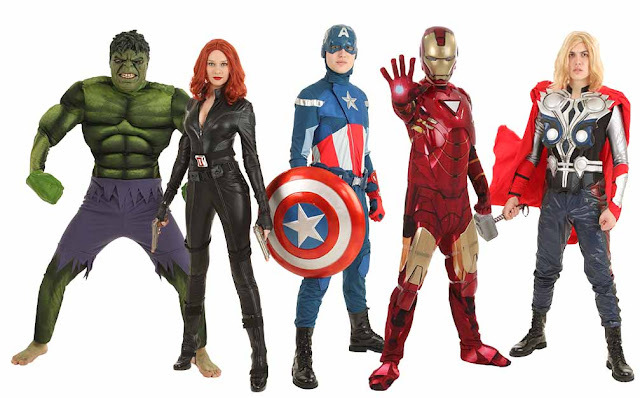 An Avengers group costume could also include Nick Fury, Agent Coulson and other characters from the comics and/or movies including some of the villains. 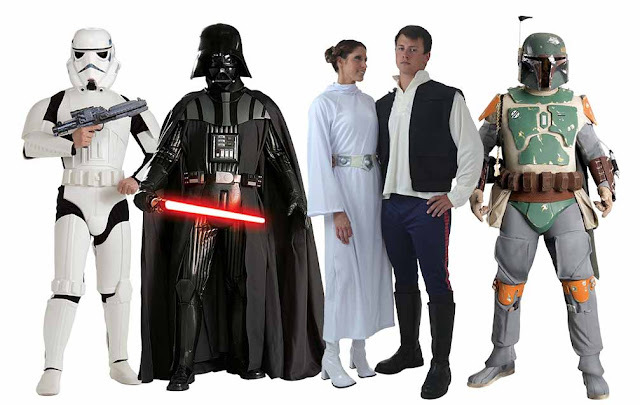 Star Wars has been a classic group costume idea since 1977 and as the fans seem to increase every year I can't see this group costume idea diminishing any time soon! Now obviously you can't have more than one Darth Vader or Princess Leia, but it is a group costume where you can have some double ups in the form of stormtroopers for example. I must admit when I think of Star Wars I always think of the original trilogy so Princess Leia, Luke Skywalker, Hans Solo, Chewbacca, C-3PO and R2-D2 along with Darth Vader are the initial costumes that come to mind. With the expansion of the Star Wars Empire there are even more costume ideas to explore, so who will you be Rey or Leia, R2-D2 or BB-8? You could even mix them up and have a selection of Star Wars era costumes on show! What do you think of this rather bold statement? Personally I think I'd prefer the Flintstones, but I'm completely ready to be out voted in which case "bags I be a wookie!" Who doesn't love the Flintstones? 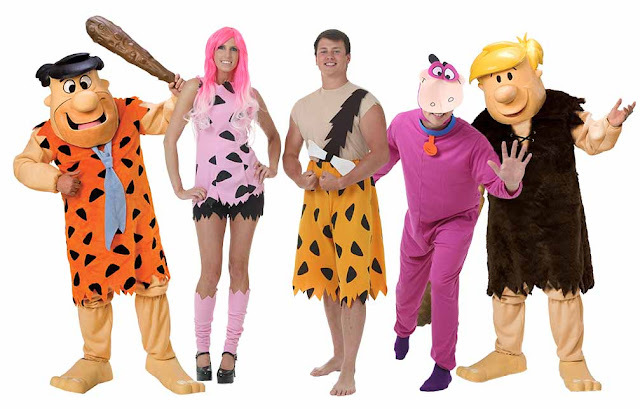 It's great to see that these costumes are having a bit of a surge in popularity again as a few years ago you couldn't go to a fancy dress event without seeing at least one Flintstones costume (whether it was Fred or Barney or several). I fancy being Dino myself, what about you? I do have a couple of friends who have dressed up as Barney & Betty Rubble on a couple of occasions, but for some reason I've never had a Flintstone's costume. Dino does have my name on it though so maybe I need to convince a group of friends to join me in the Flintstone's group costumes this Halloween! Of course there are lots of other ideas that come to mind including The Village People, Abba, even the Addams Family. Whichever costumes you decide on going as a group is always fun! Have you ever participated with friends in a group costume? If so what did you go as, I'd love to know. Here on Review This we have a few other ideas which would be perfect for a group costume idea. I have written a review on Harley Quinn Costumes and you could take these costumes and either dress as Harley through the ages or dress up as members of the Suicide Squad or just Batman Villains. Susan has reviewed how to create a Hobo Costume. If you're looking for an inexpensive DIY group costume then I think a group of Hobos would be awesome. Heather reviews the best animal costumes for Halloween and this really is a great group costume idea. You could get one of your group to dress up as a zookeeper or farmer depending on what animals the rest of you wanted to dress up as. Another idea (which is especially great if your group is made up of couples) is a Noah's Ark style of group costumes where you have two of every animal you want! You can check out a lot of other Halloween costume ideas along with other Halloween fun by following our Halloween board on Pinterest - you won't be sorry! Cupcakes have always been a favored treat for school days, parties, or just for dessert. They are even better when they are arranged to make a fun design. 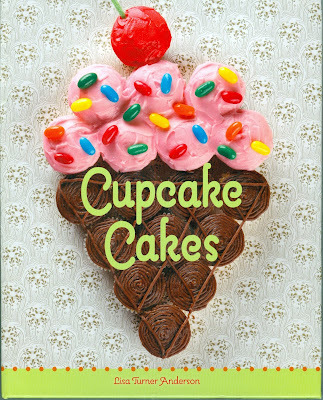 Consider the cupcake cake on the front of the Cupcake Cakes cookbook. It looks like an ice cream cone, but in fact it is 18 cupcakes frosted and arranged in a delightful design pattern. And, seriously! What could be easier? 10 chocolate cupcakes, 7 strawberry cupcakes and 1 cherry frosted cupcake. Once decorated with the Good & Fruity candy that looks like sprinkles, you have made a beautiful ice cream cone cake. Truly fabulous! I normally make my own cupcakes, but if you find yourself in a rush, you could simply buy cupcakes from the grocery store or bakery. 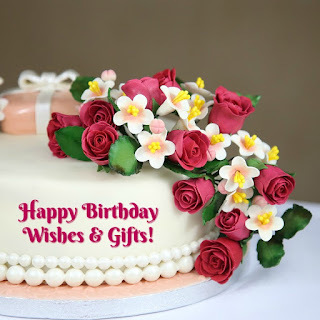 Purchase whatever decoration candy is needed and the necessary frosting color, and whip out that cake design in no time. Using the ice cream cone cupcake cake again as the example, it would be extremely easy to buy chocolate and strawberry cupcakes, the Good & Fruity candy, and a can or tube of cherry frosting. This is perfect for the mom who is required to bring cupcakes for the classroom party, but doesn't have time to bake. I own several cookbooks that include cupcake cakes, but this is my personal favorite. 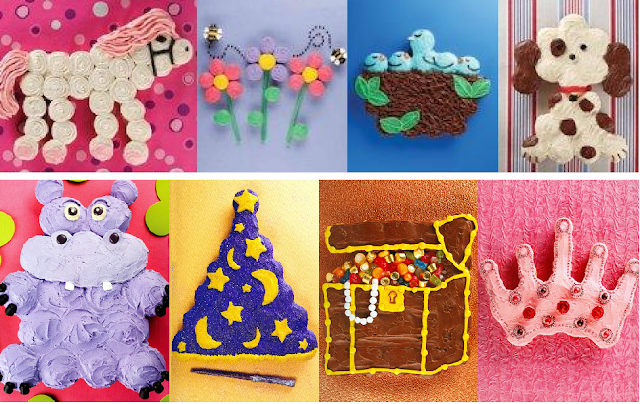 All of the cupcake cake designs are easy to replicate, yet they are adorable. 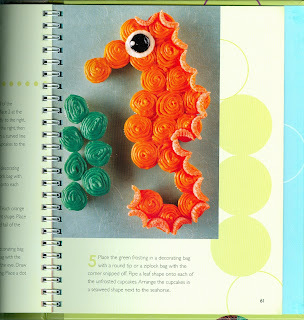 The book is fairly small compared to other cookbooks, plus it is lightweight. That makes it extremely easy to grab and carry to a party or school destination if you need it for reference when assembling the cake. It has a spiral binding inside the cover which makes the book lay open flat. Anyone who has ever fought to keep a cookbook open to a specific page knows just how fabulous an internal spiral binding is to the chef. Cupcake Cakes has instructions for 25 different cupcake cakes and each one is awesome. I love all of the animal designs myself, but there is also a wizards hat for Harry Potter fans, a flower bouquet cupcake cake and a princess crown for girls. There is even a treasure chest cupcake cake design which would be perfect for a scavenger hunt party or pirate themed party. The book is available for a Kindle, but I recommend the actual hardcover book since there are color pictures. Of course, if you have a Kindle Fire, that is not an issue since it shows pictures in color. 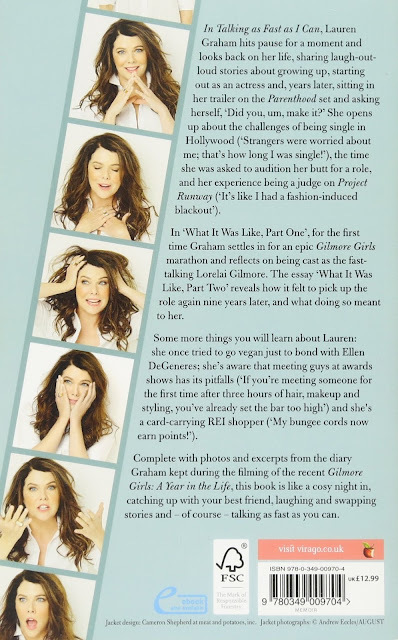 I don't ordinarily open a book review with a negative thought but that is how I felt when I began reading Lauren Graham's 2016 autobiography, Talking as Fast as I Can: From Gilmore Girls to Gilmore Girls (and Everything in Between.) I was disappointed. The book was not what I expected. I should have known by ALL THOSE WORDS on the cover. What did I expect? Well, an ordinary autobiographical book about Lauren Graham's life to date. What did I get? A book that almost seemed to move as quickly as the dialogue on the Gilmore Girls. 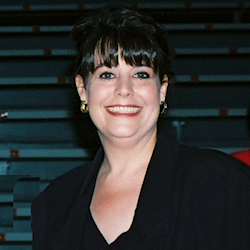 According to Graham, The Gilmore Girls series featured some of the longest scripts in television history. While another television show script might have 50 pages, the Gilmore Girls were known to pack 80 pages of dialogue into their one hour less commercial breaks time slot. Yes, that means they talked almost non-stop. Verbal diarrhea comes to mind. Graham has actually been asked if she can talk normally. It turned out that I also had a book in my hands that was not overly serious with paragraphs that were frequently disrupted by a witty comment from the author, which I could have done with out. Lauren Graham is a brilliant comedic actor but, at least at first, I would have preferred a more serious approach. 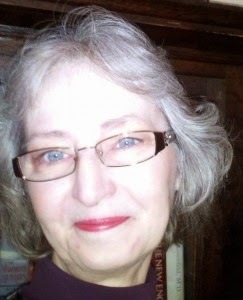 I agree with Entertainment Weekly when they said that as an author Graham is "much better in the honest, earnest passages where she’s not trying to entertain us. We like her already!" As Katherine on Women's Post said, it takes a while to get used to Graham's style, which is "conversational and as scattered as a Gilmore Girl." If you are a fan, you will know what that means. If not, well...carry on. Graham befriends you as she jumps from a thought to some song lyrics to a discussion on the telephone. "It’s through this writing style the readers are truly able to get to know Graham." Perhaps that is true. Of course, it is helpful and the book makes more sense once you know that the book is meant to be a series of essays. So...did I like the book? Yes, it is particularly if you are a fan of the Gilmore Girls and/or Lauren Graham and you approach the book in a less than serious manner. The book deals with Graham's childhood and adulthood through to the remake of the Gilmore Girls and it is interesting. It is just not particularly serious. The back cover says that this book contains details about Graham's, "awkward growing up years, confusing dating years, fulfilling working years; and what it was like to be asked to play one of my characters again." I think that gives you a sense that this book treats Graham's life in a light manner. 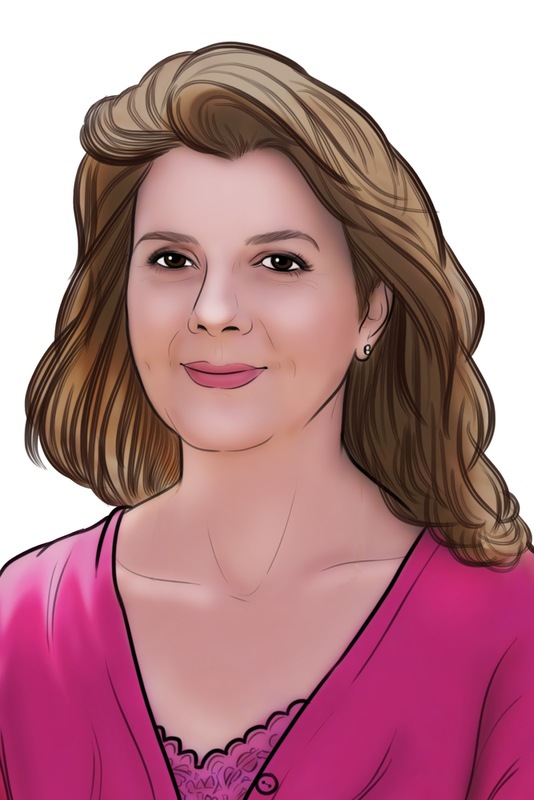 I do like Lauren Graham and I will be checking out her novel, Someday, Someday, Maybe, which is about a young actress trying to make it in New York, a subject about which she definitely has firsthand knowledge. I would also like to revisit the Gilmore Girls series and watch the new movies though with seven seasons and four movies that is a whole lot of viewing! 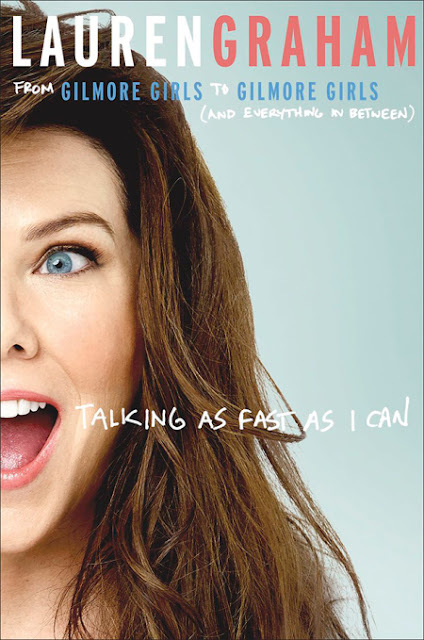 Meanwhile, you can find Talking As Fast as I can and Lauren Graham's other works on Amazon by clicking right here. If you have read Talking as Fast as Fast as I Can, be sure to let us know what you thought. Buy your copy of Talking As Fast As I Can here on Amazon. It's available in hardcover, paperback and ebook formats. Read about Graham's co-star Alexis Bledel in my Sisterhood of the Traveling Pants movie review. If you are a big Gilmore Girls fan, you might like to follow the Gilmore Girls News. 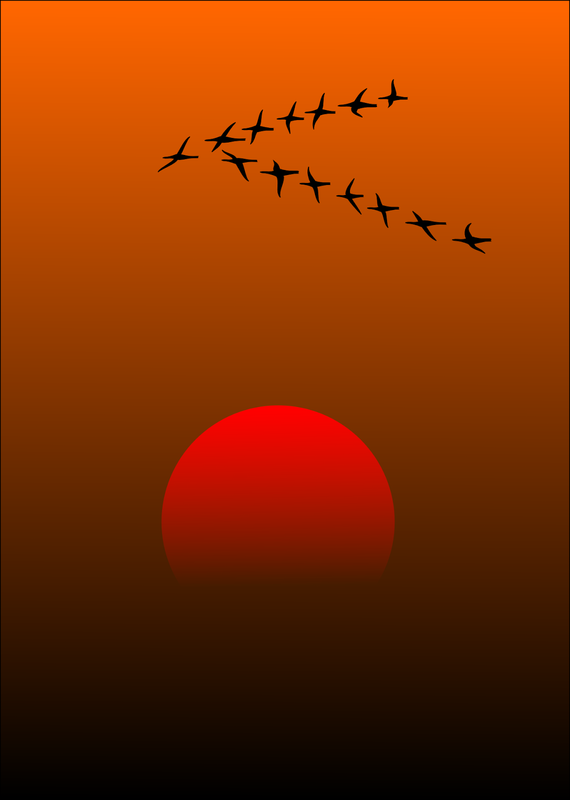 Look up, Look way Up Suddenly, Migratory Birds are Moving! The Seasons are Changing and so is everything around us. Leaves are starting to turn their blazing colors or orange and red, gold and crimson, The air is thick with movement. 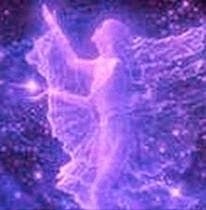 Birds are chattering away and filling themselves up with seeds, butterflies are filling up on nectar and inevitably we know that they will become visions of the past. Let's Review what kind of Migratory Birds we will be seeing in the skies over the next few weeks, or at least until the snow starts to fly. While we are at it, we will also look at some Fall Fun that we can have with our families. In the northern hemisphere, we have changing seasons and with those changing seasons we are also treated to changing wildlife around us. Birds that spend their winter months in Mexico and Central America and further south are moving north in the spring. Likewise when it starts to get cooler here, those same birds are now making plans to head back to their southern feeding grounds. 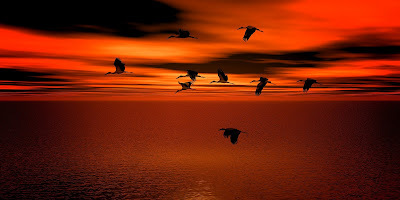 Now not all birds migrate, but many do! In the fall we are treated to some of the nicest color changes that our landscape can offer. Trees are turning colors and seed production is at an all time high. 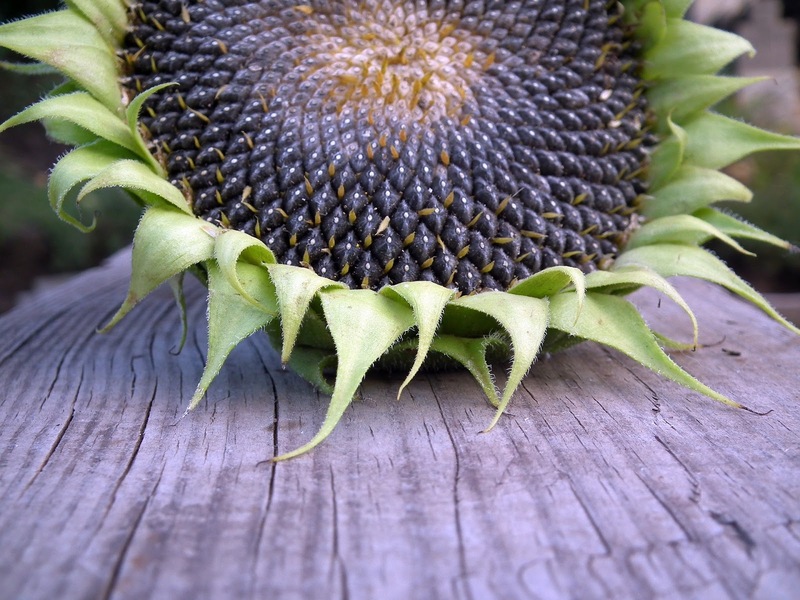 Sunflowers are a favorite feeding stop for many migratory birds. They feed on the oily seeds to give them the strength they will need to make the long trip south. 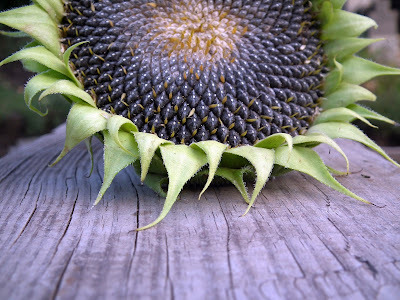 Oily Sunflower Seeds are a great food source for birds. What kinds of Birds will you see Migrating? The list of migratory birds for us is rather long, but you might not see all of these in your area. 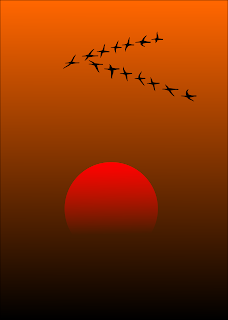 Some of the most startling ones are the geese, which fly in their never changing "V" pattern. If you listen you will hear them before you see them. All the honking they do to let their own flock know where they are going. Hummingbirds will be visiting all the feeders and emptying them out, they have a long trek in their near future. It's a great time to make sure there is nectar in those feeders. There are hundreds of different birds that will be migrating and depending on where you live you may or may not see them all. If you are into Birdwatching, your chances at recognizing which birds are in the air will be a lot better! A good pair of binoculars and a really good Bird Book will help you become more familiar with the movement in the air. If you are interested in a list of all the Migratory Birds of North America, click on that link and Wikipedia will list all the birds that are making their moves in the fall. Check on both the Eastern and Western areas as some of them will not be seen on one side or the other. I love watching the birds in the changing seasons. There is a great opportunity to share with our children and grandchildren, the changes that nature goes through when one season moves into the next. There is always something to learn. Family camping trips always highlighted birdwatching and just learning about nature around us. Trees and flowers change too and many children are busy collecting leaves for school projects. 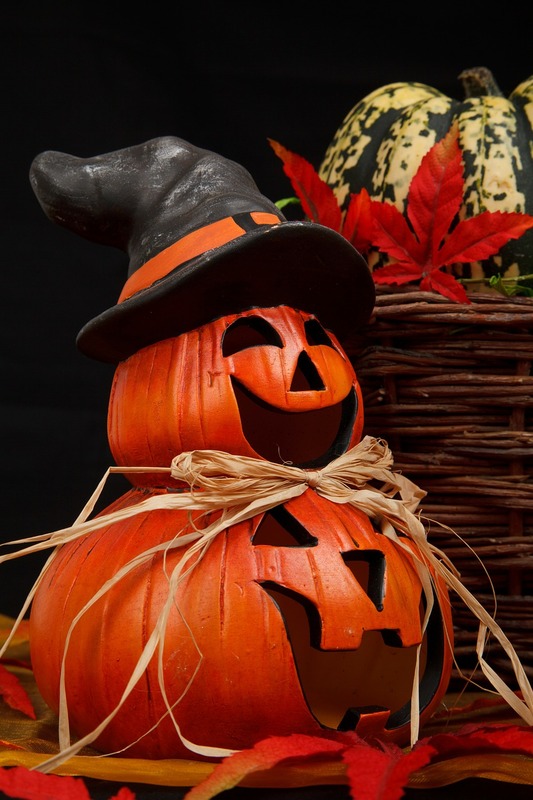 There are some wonderful ideas for Fall learning and things for children to do. It's not just the birds that they can learn about, it's the changes in nature from the ground right up to the sky. Now don't forget, when you see the leaves falling down, it's time to Look up, Look way up, you will probably be treated to some migratory birds in your area. Have you ever seen something so beautiful? If you would like to know more about bird watching you can click on these links and learn more about the wonderful world of Birds and Bird Watching. Getting Ready for a Wonderful Winter with the Birds!